At the start of the first chapter of a thick new academic tome about lithium-ion batteries, where information about the author would usually go, five words hint that something's different: "This book was machine-generated." Why it matters: AI is helping to speed up science, unlock impossible problems and dig researchers out from under information overload. Automatic summarization is a big remaining challenge that, if solved, would accelerate discovery by focusing researchers on the most pressing problems in their fields. What's happening: The book, which summarizes peer-reviewed research papers about lithium-ion batteries, is the first machine-written volume from Springer Nature — but the publishing giant says more are on the way. The following 232 pages are a dry, technical read. But it's entirely intelligible — valuable, even, for a scientist trying to catch up to the vanguard of battery research. Most work on AI writers has focused on fiction. It's not easy, as we've reported, to get a computer to generate good sentences and to fill them with actual facts. Past nonfiction efforts — like several that have tried to create textbooks from Wikipedia articles or other sources — often stumble over readability issues. Details: The machine-generated summary is made up of intelligible sentences, but it's anything but a pleasant read. It's pocked with citations — a result of the computer's inability to understand themes and concepts — and many sections are a paragraph long, built around just one research paper. "The holy grail in this space is a system that can read multiple texts, understand the texts, integrate those texts, synthesize the ideas, and then turn that into generated language," says Kristian Hammond, a Northwestern professor and co-founder of Narrative Science, a language AI company. "We're not even in the ballpark of that. We're nothing." 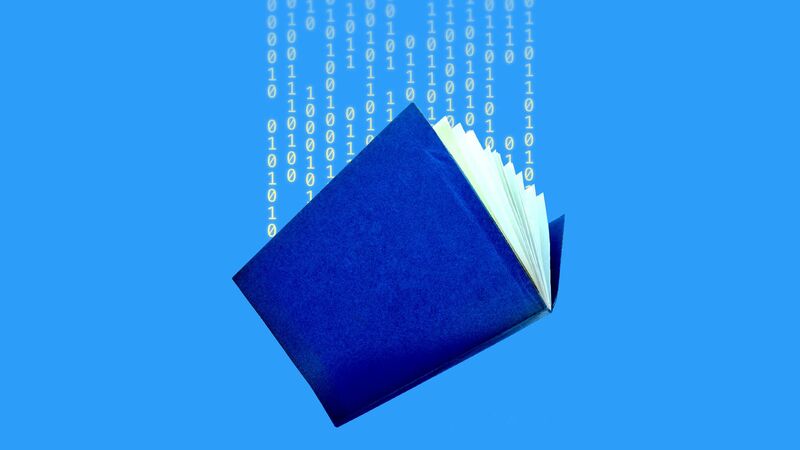 How it works: The "prototype" volume was written by an algorithm that the publisher created with researchers from Goethe University in Frankfurt, Germany. The algorithm — "Beta Writer," as it's credited on the cover — picks out relevant research from Springer's abundant archives, groups it by similarity, and arranges it into chapters and sections. Then, it summarizes the work, footnoting as it goes. Check out the free e-book, with its detailed intro about Beta Writer. But, but, but: By using only research published by Springer Nature, the book is missing out on the vast body of peer-reviewed work published elsewhere — like the prestigious Science journal, for example. The Agriculture Department said Tuesday that the agency will cease its controversial practice of infecting kittens with the Toxoplasma gondii parasite for laboratory research to combat foodborne illness. The backdrop: Bipartisan legislation was introduced in Congress last month to end the agency's practice. The department’s Agricultural Research Service has been using this practice to study the parasite it says is the leading cause of death from foodborne illness in the U.S. NBC News reported that since 1982, the agency had also been feeding cats with dog and cat remains obtained from "Asian meat markets." The USDA said it hasn’t infected any kittens in its facilities since last September, and the cats that were never infected will be available for adoption.